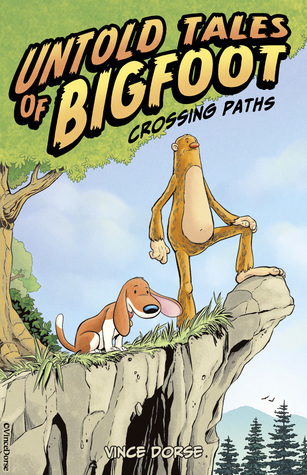 I love me a good, clean comic book or graphic novel and that is exactly what we get with this compilation volume of the webcomic, Untold Tales of Bigfoot. Dorse tells a fun adventure story with stunning artwork and lovable characters. As mentioned above, the illustrations are absolutely fantastic. While this book is a compilation of panels from the original webcomic, Dorse added new panels, re-worked others and in general just enhanced the story for this publication. I'm not entirely sure what the target age demographic is for the book, but I'll just say that I (a 30+ year old) thoroughly enjoyed it as did my 4-year-old nephew. It's just a delightful read that I recommend if you enjoy comics. And apparently I'm not alone; in Spring 2017 the book was awarded the Bronze Medal in the 2017 Independent Publisher Book Awards in the category of Graphic Novel/Humor. So go pick up a copy. You'll be glad you did.